My summer professional development challenge for myself was to expand my understanding of design, including graphic, physical, instructional, etc. It was my Independent Inquiry for the last several weeks and I’m happy to share my findings. The first thing that happened to me was the Making Learning Connected MOOC. The values I learned during that collaboration of Equity, Social Connection, and Full Participation, create an excellent frame for designing learning activities and opportunities for my students. By ensuring that these values are represented in my classroom at all times, I’m confident that engagement will be enhanced. Please view my Laziness Map and other posts for the collaboration. The spirit of the Making Learning Connected MOOC will continue to thrive in the Educator Innovator Network and I look forward to following and participating in that endeavor. 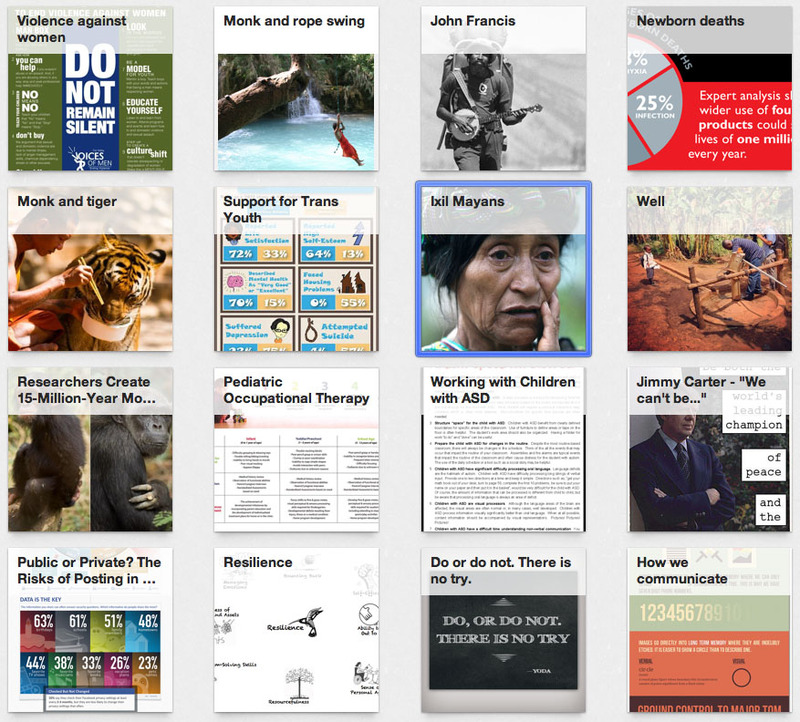 Another exploration I made was of the remarkable depth of design resources available on tumblr and Pinterest. In addition to being entertaining, these social networks are teeming with artists, designers, brilliant teachers, and other interesting people who are happy to share their excellent work and resources. I still consider myself a beginner ‘pinner’, but I have enjoyed discovering and following new boards, although I must admit that I’ve been mostly attracted to the food… Much of design sense, as with any aesthetic appreciation, comes from viewing and experiencing many examples and constructing one’s own understanding and social networks provide a rich selection. There was also this timely post, which I have yet to fully explore. My wife, Yuka, was an invaluable teacher this summer. We had many discussions about color, layout, font selection, and many other topics related to the visual appeal and usability of my instructional tools. As I continue to prepare presentations and materials, it’s exciting to apply the her tutorials about using Adobe Creative Suite. Finally, she discovered and shared with me the Design Thinking for Educators Toolkit, which I immediately downloaded and began reading. Many of the principles remind me of my own notion of metateaching, but from an informed and more highly developed perspective. It’s exactly what I can use to realign many of my own ideas with developed theories and concepts of design. Central Idea: Human rights and responsibilities are shared across cultures. Naturally, I have a few resources and activities in mind already, such as introducing the Universal Declaration of Human Rights, surveying other classes around the world about their views regarding human rights, and researching the history of rights movements and laws, among others. What I’m looking for from my Evernote notebook, however, is the shocking, thrilling, engaging, provoking media that truly engage authentic inquiry and learning. The obvious thing to do first is to find out if the tagging scheme outlined in Inquiry with Evernote vol 1 really works to retrieve relevant and provocative resources. Starting with the ‘Who we are’ tag, my first search yielded 95 results. Refining that search by the ‘Function’ tag revealed 26 notes, ‘Connection’ had 23, and ‘Responsibility’ had 26 (to view notes including multiple tags, simply command-click). Included in ‘Who we are’ plus ‘Function’ were many photos of people wearing traditional clothing which could be relevant to an inquiry into people’s rights regarding their beliefs. Also, there was a link to a great infographic called How humans learn which will be very useful when discussing our right to education. Among notes tagged ‘Who we are’ plus ‘Connection’, I found several resources about Digital Citizenship and cyberbullying which will prove to be very useful when we begin exploring our class blog and social media. Finally, notes with both the ‘Who we are’ and ‘Responsibility’ tags led to a delightful collection of quotes by Albert Einstein that will be wonderful to explore early in the school year. The note is simply called ‘Bayaka’ and comes from a post from one of my favorite tumblrs about the plight of the pygmy peoples of Central Africa. That post contains links to the original source Smithsonian article, a short video from the BBC, and a documentary film which raises issues of land rights and slavery. It’s like magic. If this article and related videos are not a perfect provocation for this inquiry, I don’t know what would be. So what shall we do with them? This unit will also serve as our introduction to Global Digital Citizenship, so I’ll embed one of the videos on our class blog and let this be one of our first ‘view and respond’ activities to practice posting thoughtful comments. To support that task, we’ll read the Smithsonian article together in class. Then, I’ll challenge the students to research another instance of rights violations in the world, post their own findings, and comment on each other’s posts. The highlighted note with the photo of the crying woman is titled ‘Ixil Mayans’ and links to another tumblr post about oppressed indigenous people in Guatemala. It would provide ideal search terms to begin researching and images to effectively provoke the inquiry. Questions being central to inquiry, I’d like to test my Evernote notebook’s response to a more specific search. Let’s see how it holds up to a question like “what are the differences between rights in different countries?”. The logical terms to search would be ‘rights’ and ‘country’. Unfortunately, I haven’t tagged any posts with ‘rights’. To make the matter worse, almost all of my notes tagged with names of countries are interesting photos, but not necessarily related to any article about current or historical events. Clearly, I need to improve my cache of secondary concepts (rights, transportation, technology, etc) and simply keep clipping notes focusing on issues and linked to more articles about historical and current events. Finally, it’s important to add a new tag to any notes used for this inquiry. I use the school year, grade, ‘UOI#’, and title of the the unit, in this case, Rights & Responsibilities. Notes used in this inquiry are tagged 1314 G6 UOI1 Rights & Responsibilities to make them easy to spot later, and so that tags will be organized chronologically. 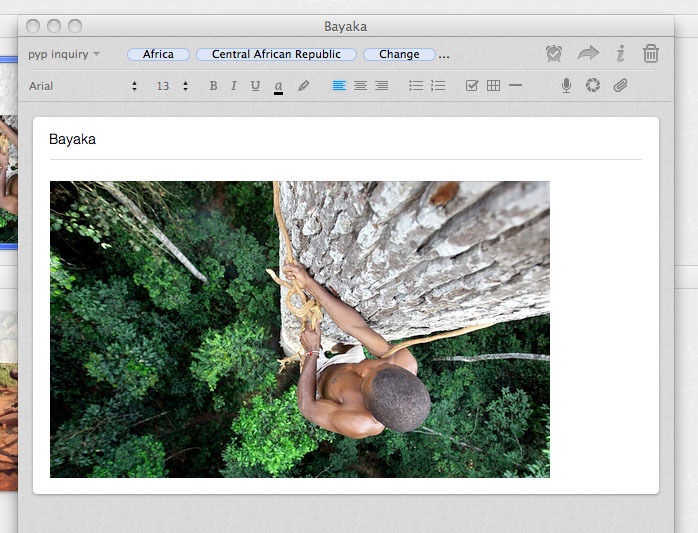 Does Evernote work for inquiry? I’d say so. In the time it took to write this post, I planned a sizable chunk of guided inquiry for my class including authentic articles and video, and that’s from just one note. Further independent inquiry can be instantly supported with additional resources, as well as spontaneous modeled and guided inquiry. In volume 3 of Inquiry with Evernote, I’ll be reflecting on using Evernote in the classroom for real-time inquiry during the first weeks of a new school year. Thanks for reading and please leave your questions and suggestions! Connected Learning or just learning? I was a rather curious child and a natural inquirer. A particular interest in cars led me to subscribe to magazines like Road & Track and Automobile, talk to knowledgeable people about how cars work, and even invest in a wonderful book called Auto Math Handbook. It provided the engineering foundation for many car designs which I diligently drew while summarily ignoring the television. 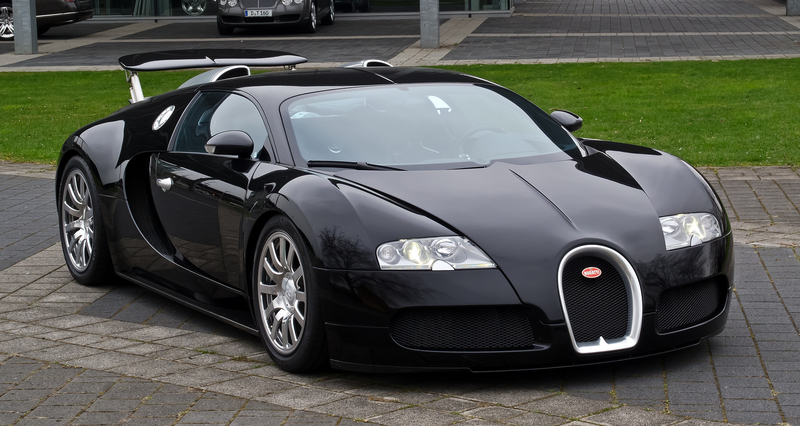 I’m pretty sure one of my designs inspired the creation of the Bugatti Veyron. When I first researched for an assignment using my father’s CompuServe account, I knew the internet was special. I dreamed of sharing and collaborating with people around the world. I joined AOL chat rooms in 1995, enjoyed my first free dial-up via AltaVista, and became unsettled when my email address change from RocketMail to yahoo!. I was a developing musician and composer and saw the incredible potential of the internet for learning, sharing, and collaborating about music. As the years passed, however, the internet became a distraction. I tried new sites, sought new connections, but everything felt hollow. Rather than sharing, I was collecting ‘friends’ and ‘likes’. Rather than collaborating, I was arguing with forum trolls. Eventually, I avoided the internet, relegating it to the same status as television and shopping malls – distracting, frivolous, commercial. Not to be overly dramatic, but that’s the end of my Making Learning Connected MOOC reflection. Primarily, this experience has reminded me of what excited us about the internet twenty years ago. 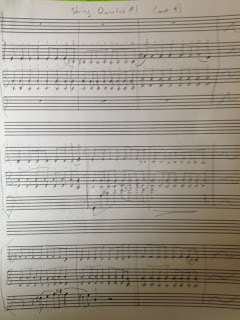 So here it is, the future of connected learning for me is to compose my first String Quartet. The fourth movement is based on a figure I wrote seventeen years ago in Nepal. 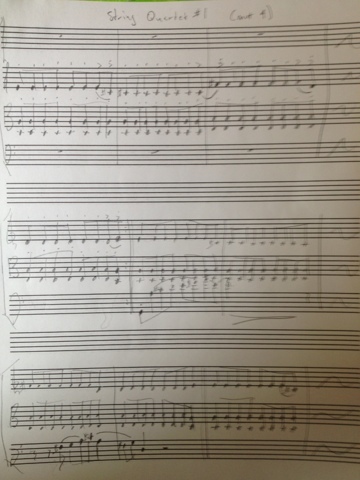 It’s going to have four movements, and I’m doing it all by hand, no notation software until every note is written. Then, I’ll do what I always wanted to: Use the internet to share it. I’ll be incorporating Connect Learning principles into my classroom practice, of course. Ensuring that my students develop their media fluency has become a top priority as I have discovered that it is the key to effectively utilizing the internet for learning. I hope you’ll also continue to follow my posts as the Independent Inquiry project progresses. Posted on August 1, 2013 Categories clmooc, Constructionism, independent inquiry, Making Learning Connected MOOC, social creativityLeave a comment on Connected Learning or just learning?